It is key to educate your users on how to buy through various means jumper offers. A call-to-action that works really well, we&apos;ll break it down per social media channel to help you get a clearer understanding. 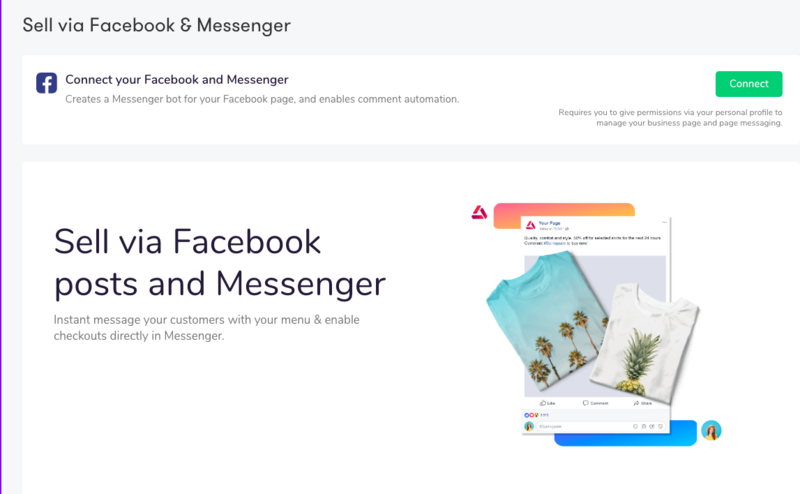 You can share the product from jumpers dashboard only once you&apos;ve created the product and linked the Facebook account with jumper. 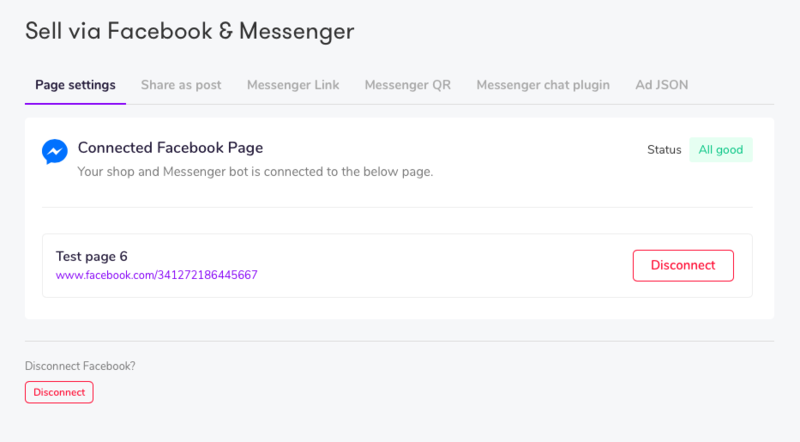 Once connect is clicked, the brand page has to be added. Note: Please follow the steps below in case of error received while adding the brand page. Login back to jumper-> connect facebook-> give permissions-> connect messenger-> choose your page-> DONE. 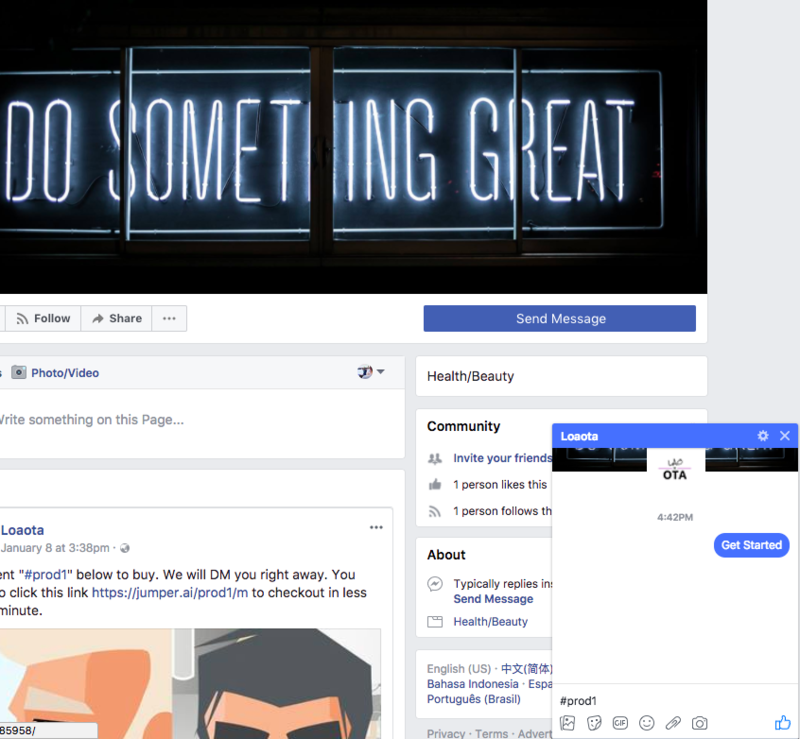 Now, you click the Facebook icon, you&apos;ll see a window which would show the various ways you could share your product using Facebook as a channel. 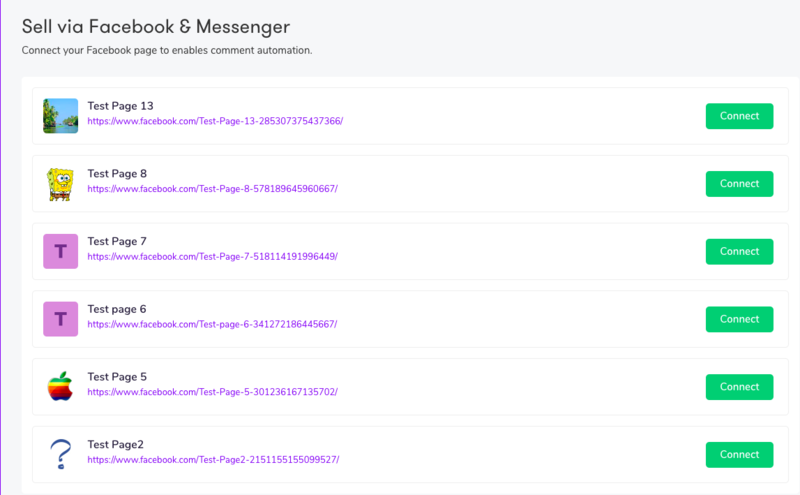 Sharing on groups is enabled by the magic message link, this upon click fires up the sales in messenger. This link can be shared everywhere - your profile, e-mails, sms, WhatsApp, embedded it on your website, blogs etc. Experience the demo by clicking here to see the magic.